With many colleges and universities requiring their students to have iPads, tablets or laptops as a regular school supply, the market is up for grabs as to which device will eventually become the standard in higher education. Currently Apple has the lead with many top schools giving their students iPads when they enroll, the idea being that students will use their iPads for everything from registration, to renting textbooks, to forming study groups, to taking notes in class. However, today Amazon revealed its contestant in the electronic device beauty contest. It’s called the Kindle Fire and even though it won’t eliminate the iPad entirely on college campuses, it will definitely muscle into a fair share of the iPad’s turf. Like the iPad, the Kindle Fire allows students to do just about everything they need (or want) to do in college, which is read, download books, listen to music, watch movies, play games, check email, and waste time on social media. Plus, it’s got a fast, dual-core processor, automatically backs up your data to the Cloud, and is even smaller than the iPad (7” versus 10”), which means it’s lighter and easier to carry in a purse, briefcase, or backpack. So How Does the Kindle Fire Differ From an iPad? Well, to start with it doesn’t have a camera or a microphone, both of which students might miss—especially the camera, given that students generally like to visually document everything they do and then post their antics on all their social media sites. And from what I can tell, the Kindle Fire doesn’t have a onscreen keyboard that can be used for taking notes in class, doing research, and writing papers, which means students would still need their laptops. However, the laptop could stay home (most of the time), while the Kindle Fire roams the campus with students, replacing all those backpacks full of heavy books. But the big difference comes in the form of dollars. The Kindle Fire does not use the 3G or 4G networks. But that’s okay, because honestly, with the cost of college today do we really need to lob another monthly fee onto starving students? These poor kids are already roped into cell phone plans that can seem like prison sentences, they don’t need yet another monthly data plan to worry about, especially when all college campuses and dorms come with a multitude of free wi-fi networks. However, the most compelling difference is the actual cost of the darn thing. 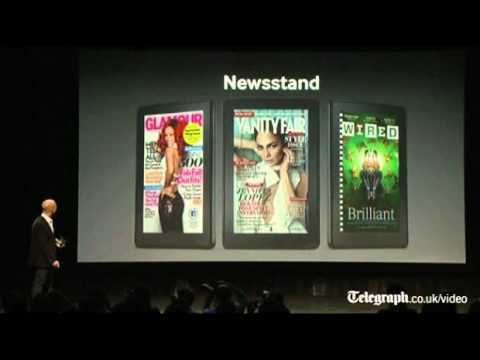 The Kindle Fire is only $199, as Amazon CEO Jeff Bezos announced on September 28 when he officially revealed the Kindle Fire. When you compare that price tag with that of the iPad 2 (SRP: $499) all of a sudden the missing camera and microphone, as well as the unnecessary data plan, feel unimportant. Plus, Amazon is throwing in a free one-month trial of Amazon Prime, a subscription service that allows Kindle users to instantly stream movies and popular TV shows on demand. (You also get unlimited free two-day shipping on most tangible items you buy from Amazon, which is kind of cool given the holiday season is just round the corner.) Normally, an Amazon Prime subscription costs $79 a year, so to be able to check Amazon Prime out for free is nice. What Does This Mean for Colleges and Universities? For the ones that are already committed to the iPad, not much. However, with the Kindle Fire’s smaller price tag some of the more modestly funded schools can now afford to get into the game when it comes to supplying their students with tablets. Given that the Kindle Fire does about 97 percent of what college students need to do with a tablet, it is by far is the most economical tablet choice. The jury’s still out on whether Amazon will offer deals to schools, but being that their aggressive pricing means they’re serious about getting into the game (the Kindle Fire is even cheaper than the $250 Nook Color) I wouldn’t be surprised if Amazon is ready to wheel and deal with colleges and universities just to get their tablets into the hands of co-eds. This entry was posted in Careers and tagged career advice, college life, college trends, textbooks. Bookmark the permalink. Post a comment or leave a trackback: Trackback URL.